The price of gold continues to take hits on the United States stock market. The gold stock dipped below $1,300 per ounce on Thursday. It’s the lowest point of 2018 so far. The downward trend began over a month ago in the middle of April. On April 11, gold’s stock reached its point of the year. Since then, however, the price is suffering a six percent dip. A reason for gold’s decline is an over-saturation of the market. Once the precious metal hit the high of April 11, investors started selling. With so much available, the value begins to decrease. Those still buying into gold stock shouldn’t be worried, though. The sharp dip in price should lead buyers back to the market to take advantage of the lowered stock. Many believe $1,280 to be a crucial point in the market. 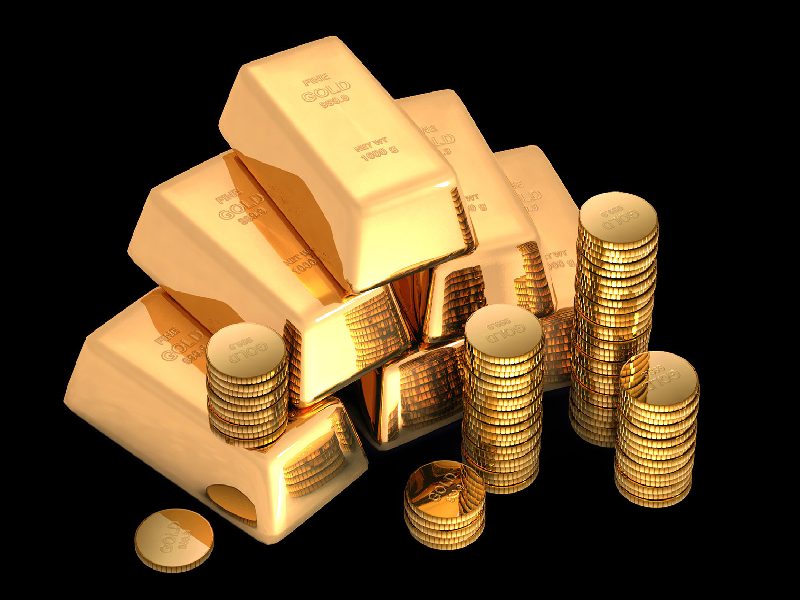 When gold prices reach that mark, which could be in a matter of days, the market is expected to take a turn. Gold may be down now, but it won’t be for long. Silver, on the other hand, is already on the upswing. The less valuable precious metal sat in a similar spot as gold in recent weeks. However, silver rallied earlier this week and is starting to rise again. Another component of gold’s downward movement is U.S Treasury yields. Bond yields are rising and, along with a strong U.S. dollar, gold is facing pressure. Rates on 10-year U.S. notes are up to 3.12 percent. Current yields mark the highest in nearly 30 years. Since gold and silver don’t earn interest, some are turning to bonds with rates higher than they’ve been in a long time. As of 5:00 p.m. Thursday, May 17, gold stock is at 1290.60, while silver sits at 16.38 Prices did not vary much from Wednesday, as gold rose .01 percent and silver increased .32 percent.